Great news! 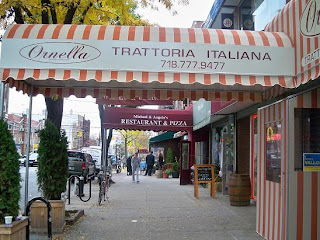 As of this weekend, Ornella Trattoria will be adding brunch to their delicious offering. The menu contains traditional egg dishes as well as various paninis, light pasta and other house specialties such as a potato pancake with pancetta, polenta with gorgonzola, a nutella filled crepe. Need I say more? When I looked at the menu, my eyes got wide and my stomach rumbled. I hope it inspires you too! Brunch service starts this Saturday, 1/30 from 11 a.m. - 4 p.m. I'm into this place. It's the homemade pasta that hooked me.